Yes it's a Nieuport.The ABC Dragonfly engine gave 320bhp and 150mph at sea level but was unreliable. 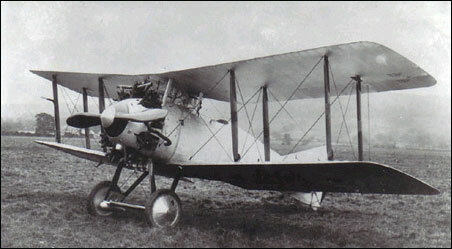 The re-engined airframe lived on into the 1920s in variouse forms including carrier opps. Spot on Dave no doubt about it, it is a Nieuport Nighthawk. The photo shown is NOT the Supermarine Night Hawk, which was a 2 engined quadraplane. It appears to be the Nieuport Nighthawk built in England in 1918. CURIOUSLY ADVANCED LOOKING FOR 1916. ALSO HAS THAT PRECISION-MADE SPINNER AND COWLING, REFLECTING SOME GERMAN PRECISION. NO OFFENSE. ENGLAND CERTAINLY HELD IT'S OWN IN AVIATION,AND UNDER STRESS.